Floor sanding is a great way to maintain your old parquet, hardwood and softwood floors. It it recommended to be done on worn-out and newly installed floors. Instead of replacing the boards in your home or other property, you can have them sanded down. Our experts in renovation of wooden floor coverings can consults you how to restore your floors and do the necessary work. Improve the appearance and condition of your oak, pine, parquet and other floors using our professional floor sanding services which we provide in Wimbledon SW19 every day. Our technicians will check the condition of the boards and planks that you have. They will pay you a visit to make the necessary measurements and estimate the materials, machines and time which the floor sanding will take. The next time, our staff will come supplied with the needed materials and machines for work. They will remove all staples and tucks from the boards. Our craftsmen will sand down the whole floor area using belt or drum sanders and edgers for the rims, corners and stairs. Our technicians will start the sanding using coarse-grit sandpaper to level the floorboards and continue with medium-grit and fine-grit sandpaper. 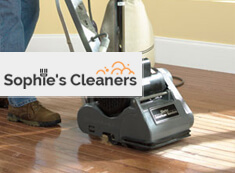 In the end your floor will become smooth and impeccable. After that, our sanding specialists will cover it with a few layers of the chosen sealant. We can offer you oils, wax, polyurethane and other varnishes. Book the floor sanding and polishing in SW19 Wimbledon to improve the condition of your old and new wood floorings. Instead of removing your old and installing new wood floor, you can have it sanded by our qualified and experienced craftsmen. 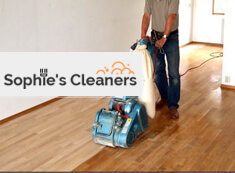 They will provide the floor sanding which you need for your home or commercial estate, located in Wimbledon SW19 at a convenient date and time.